Use Discount Code: TAKE25 and save 25% on anything in my store for Small Business Saturday. Check back all week for additional discount codes for available limited times. 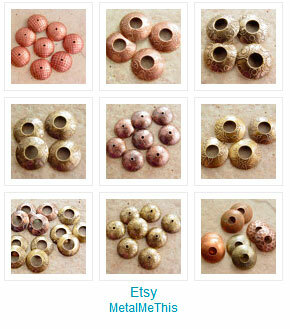 My giveaway is a $25 gift certificate from my Etsy store. Leave a blog comment to be entered. Share my blog entry and be entered again. Drawing will be randomly chosen December 1, 2012. 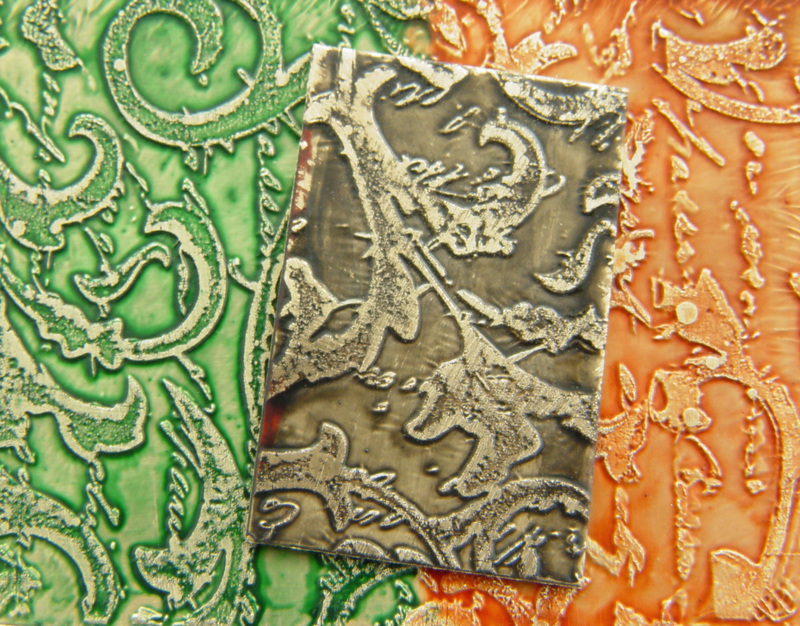 Many of our artists have published work & sell their beautiful pieces nationally and internationally. It starts this Friday, Nov. 23rd thru Friday Nov 30th. All participating jewelry designers will be offering a discount on their stores & will be promoting a giveaway. Winners will be chosen individually by the blog owners. When you find them, follow the directions to be entered! AND! Bookmark ArtisanWhimsy.com for Future Artisan Jewelry Shopping Opportunities! WordPress isn’t cooperating with the links, so please click this link to be taken to a display of the other participants. Thank you! I met Diana Ptaszynski (Suburban Girl Studio) online and then at BeadFest in Philadelphia this summer. She’s fun, talented, creative, fun, crazy, but did I mention she’s a lot of fun? She hosted a mismatched earring swap among a couple dozen other creative souls and I thought I’d play, too. The premise was to create a pair of unmatched earrings, that coordinated, but weren’t your typical matching set. Easy, right? Not so much…Fun challenge though and I hope to do it again both in my own designs and it another challenge. I was paired with Kari Asbury of Hippie Chick Design and she sent me some great earrings! Colorful and textural, and mismatched! You can see what I sent Kari at her blog, but here’s a photo of the earrings I received. 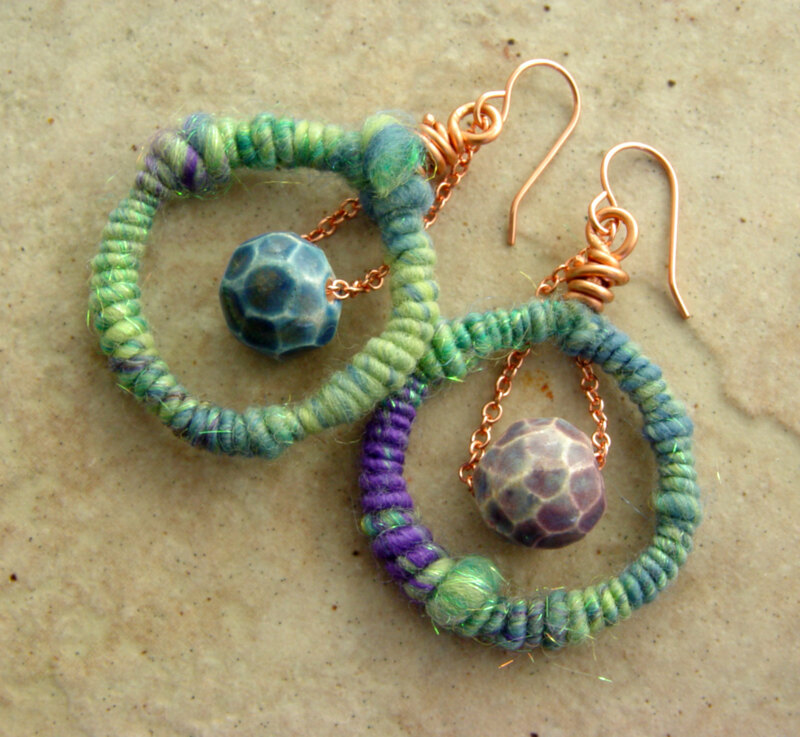 The hoop-style earrings are wrapped with FiberWire from Nellie Thomas of SpinCulture and YarnSweetYarn and carried in Karen Totten’s Etsy store. 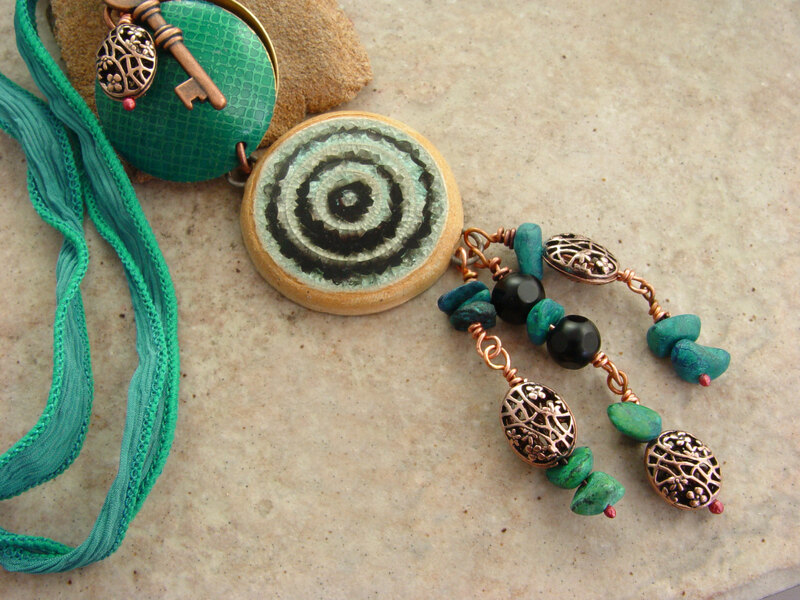 the cool green and teal coordinates great with these delicate ceramic beads from Nan Emmett of Spirited Earth in a soft purple and deep blue. The colors pick up the tones in the fibers so nicely! The “mismatch” comes with the colors and I love how they coordinate. I’ll be wearing these a lot! 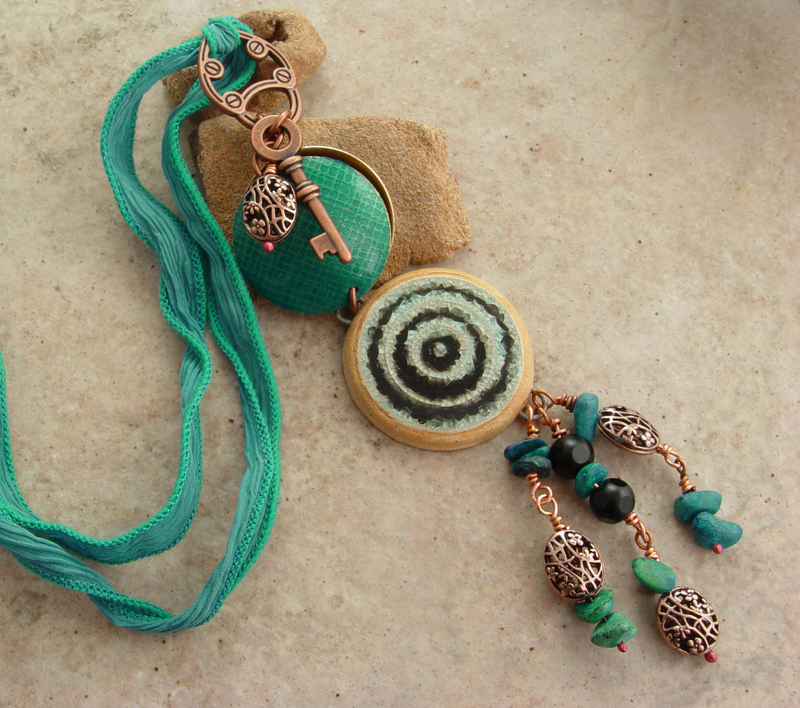 Copper wire and chain ties the free-spirited look together. Thanks, Kari! And thanks, Diana, for letting me play along! Remember in the last post I mentioned special interest groups and what a large part they play in an online world these days? Well, today’s post is about another one of those groups and the person behind it. A group of us have been planning this “blog-out” for months, and who knew a group of chatty women could keep a secret when they are in and out of pages and groups and walls with the special person, day in and day out! “In the Pink…” is a reference to one of my favorite people in this world: Lori Anderson of Lori Anderson Designs and the dynamo behind the Bead Soup Blog Party™ (and the soon-to-be-released book based on that HUGE online blog party.) 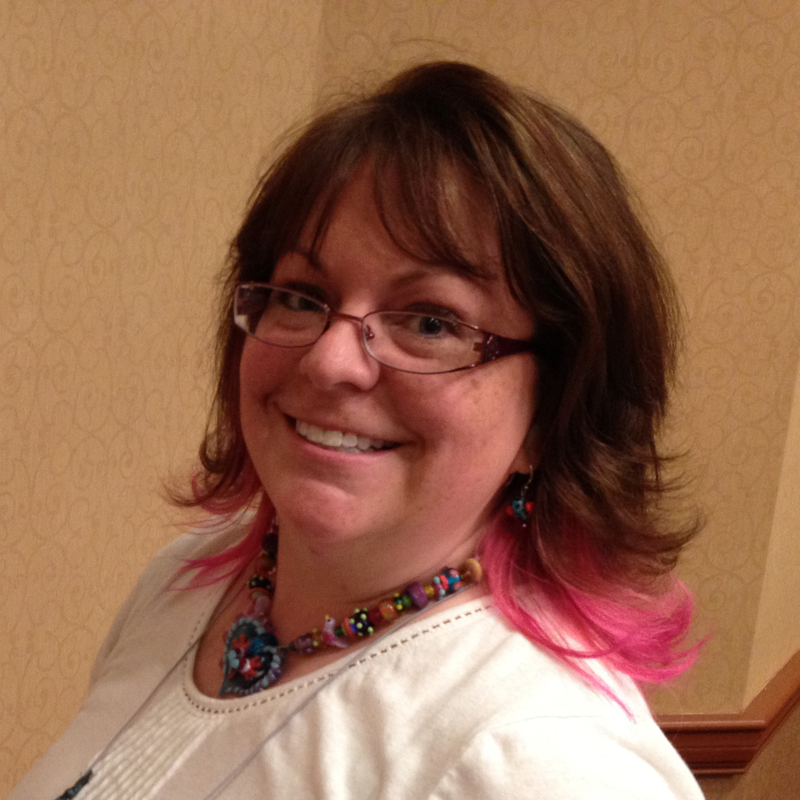 Lori added pink streaks to her hair as a nod to her creative side and it suits her to a “T”. Check the bottom of the page for a photo of my homage to her fabulous pink hair! 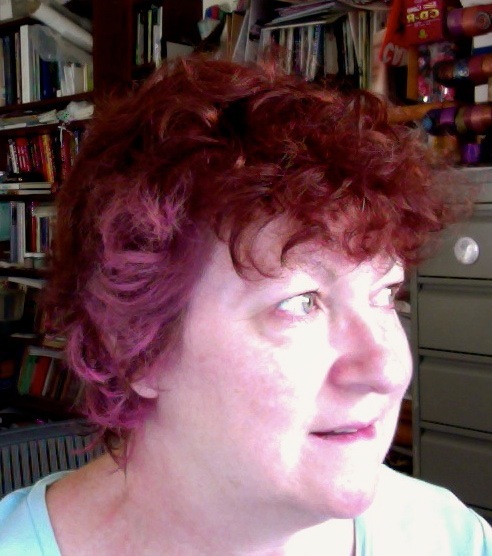 This photo was taken in June at Bead & Button…Lori’s hair is longer now, and the pink is such a whimsical touch. I smile whenever I see it! Let me back up….I have “known” Lori for years–online. I can’t even tell you when we “met”, but we’ve emailed and chatted online for years about making jewelry, books, our kids, and the ups and downs in our lives at different times. We had never actually laid eyes on each other til June in Milwaukee. I knew Lori was going to stop by my booth and yet when she did, it was still such a shock! We both squealed like 10-year-old girls who had stumbled on Justin Bieber concert tickets! I know we hugged and we might have done the jumping up and down thing, too. And then we crossed paths again in Philadelphia at BeadFest and I got to meet Zach, her son. I am as in awe of Lori, the mother, as I am of Lori, the writer and entrepreneur. Though our “real life” time adds up to a few hours, our time as friends adds up to so much more. I consider Lori one of my dearest friends. She gets more done than any 3 people I know! 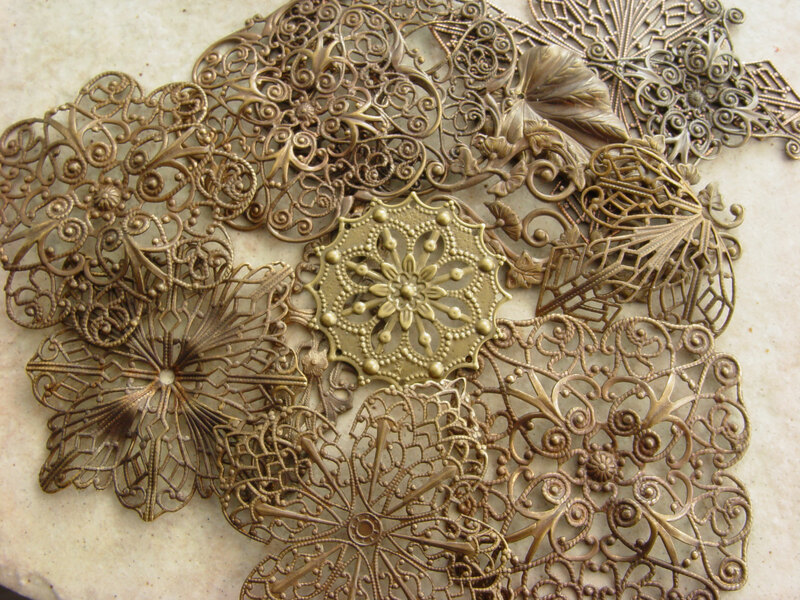 Lori is a talented jewelry designer whose work has been published in many magazines over the years. That’s an area that she encouraged me to pursue, as well, and I’m grateful for the nudge. While I am always making deals with myself to blog more often, Lori is a wizard at it! She is generous with her ideas and suggestions. She coaches people and has written an ebook with blogging prompts to help those of us who struggle with that, and she practices what she preaches: blogging daily and more. Always looking for ways to encourage others to their own success. That’s the premise behind this big blog party around “bead soup”, started by Lori a few years ago. We just finished the 6th version of it with 400 participants over 3 different weekends. And because all of those participants (and more) from previous blog hops wanted ongoing connections after the hop ended, Lori started a Facebook group called Bead Soup Cafe. There are now over 1100 of us (growing each day) who stop in (on Facebook) to hang out, share tips, promote our wares, exchange chitchat, ask questions, find great deals, and bridge the fact that most of us are miles and miles and even oceans away from each other. It’s the online equivalent of the kaffeklatch that my mother and her friends had…groups of friends getting together to share their days. It’s a far larger undertaking than I can imagine, and that’s where this blog hop to Lori comes in….a chance to thank her for all she does and for the great place she’s put together. Thank you, Lori, for pinking up my life! It’s a big Internet out there! Lots to see and find and sometimes you get lost in it! Getting around these days for me means finding like-minded people, as well as those who challenge your creativity, and encourage your dreams. I belong to several special interest groups on Facebook and a couple of bead/jewelry forums and they each provide value, friendship and camaraderie, and links to some really good stuff! One of them is Creative Bead Chat which has over 1000 members; all either jewelry designers, bead makers, component creators or just lovers of pretty accessories. All skill levels and experience make up the group and it’s a good way to learn about techniques, styles, colors, and new products. One of the fun things for me is when I can meet some of the members of my online groups in real life. That happened at Bead & Button in June and again at BeadFest in August. Groups like CBC have people managing things behind the scenes and out front. Keeping the chaos in check, so to speak. At CBC that group includes these ladies. 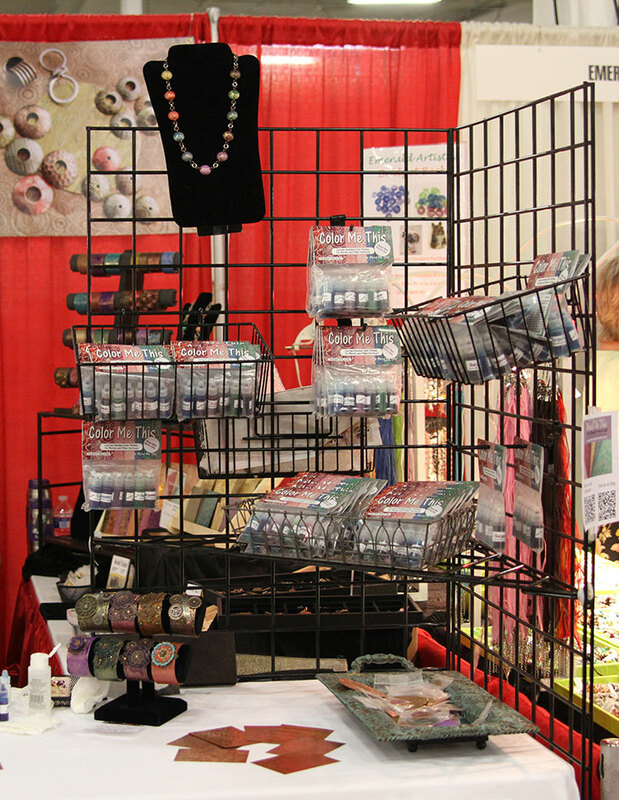 I met Marla James of Marla’s Mud and Melinda Orr (founder of CBC) of Melinda Orr Designs at bead shows. Karen Totten of Starry Road Studio and I sat at the same dinner one night and completely missed meeting each other…a fact we laughed about after the fact. 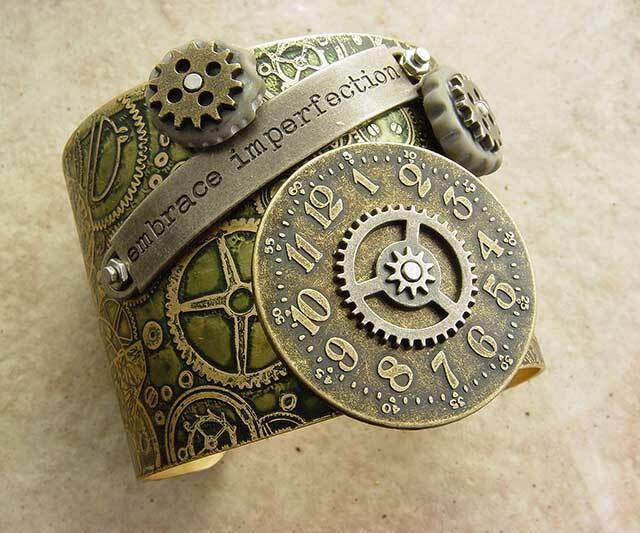 Rounding out the admins are Keirsten Giles of Lune Designs and Marla Gibson of Spice Box Designs. Keep up the good work, ladies! I’m off to ship some orders! I feel like I fell off the map in some ways…August just came and went! It was a mad dash of weeks of preparation for BeadFest in Philly mid-month to launch Color Me This and then I got back and felt like I’d been hit by a Mack truck…not sick, like so many other vendors, but completely and thoroughly exhausted. So you go with it and do what you can. I’m more or less “back”. BeadFest was great! People seemed really excited about the sample packs and I talked and demonstrated them til I couldn’t talk anymore. My sister, Kelly, came up from northern Virginia to help out and it was a bonus to have sister time. Here’s a photo of the booth set up. And a purchase from Kabela Designs that I managed to make before the show started one morning. I’ve already been working on colorizing them and I’m really happy with the results but I’ll save that for another blog. I’ve been working on filling orders and getting advertising in place in a couple of magazines, plus product reviews (and my “day” job in the mix, too). Never a dull moment. Hard to imagine I haven’t etched anything since mid-August! That changes tomorrow. Stay tuned for photos of the next two sample packs (they are available on Etsy right now), but I’ll have more photos in a day or so. Here’s a teaser! Color Me This on it’s Way! First things, first. The winner of the free Color Me This sample pack is Melissa Mesara of One-Eared Pig. Congratulations! I’ve got a batch of them listed on Etsy in case you can’t make it to Philly this time. They will ship next week Tuesday or Wednesday when I return home. And later this month I’ll be adding larger sizes of the sample colors that can be purchased singly, as well as some 3-packs. Plus new colors on the way too. There’s a photo album on my Facebook page where samples of your work will reside. Just post a photo on my wall and I’ll move it to the photo album. I’m excited to see what creative uses you find for the colors. And I’m already getting great feedback about the ease-of-use and results from the initial buyers. Plus, I’ll have feedback about additional sealers that are working for people. That gives some alternatives to my recommendations…people aren’t always able to find PermaLac locally or out of the country. 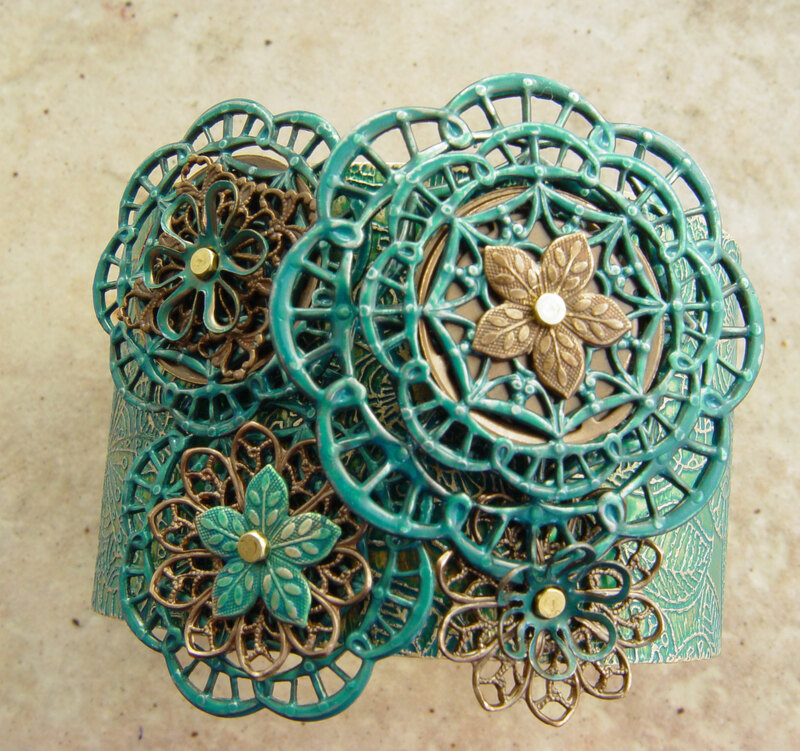 I mentioned “embellished cuffs” and I’ve been having a blast with them…here’s a couple that I’ve shown on Facebook. They are headed to BeadFest, too. I love the direction they are taking me and can’t wait to continue with them. It’s time for the first reveal of Bead Soup Blog Party #6 hosted by Lori Anderson, Blogger Extraordinaire. ETA: I forgot I was going to do a giveaway!!! Leave a comment and I’ll do a drawing for a free sample pack of my new Color Me This patinas (not yet released for sale, but very soon!). 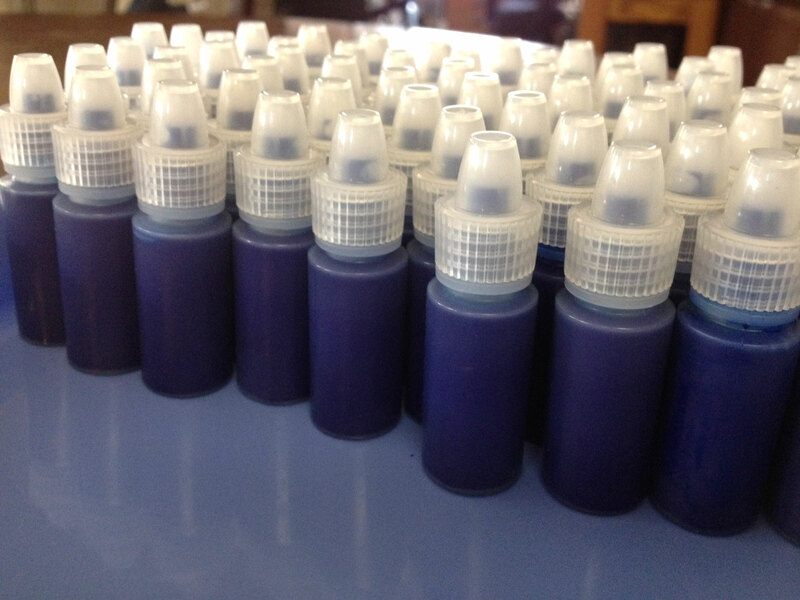 6 popular custom blended colors in “try me” sizes. Drawing to be held August 4th. I was paired with Nancy Peterson and she sent me this lovely mix of soup ingredients. Be sure to stop by her blog and see what she made with the ingredients I sent her. From that I made a pendant with a silk ribbon necklace. Here’s a full shot of the necklace and pendant. 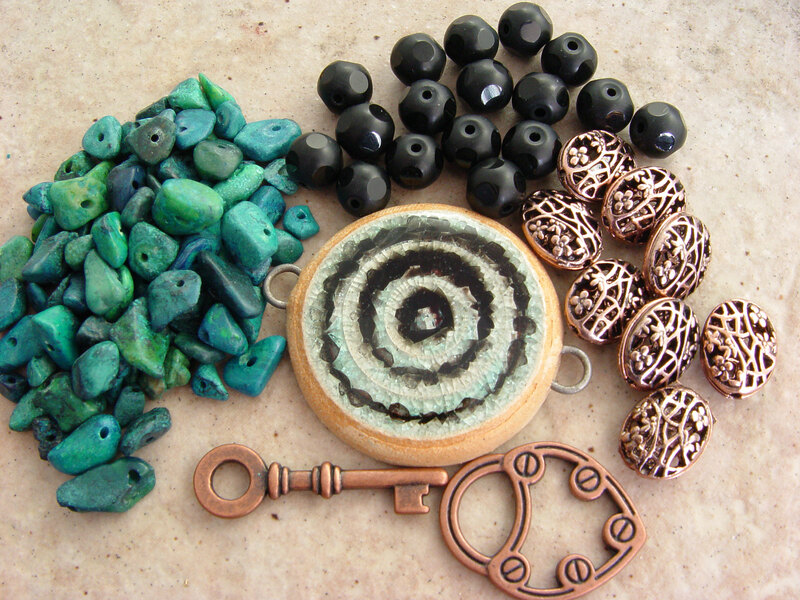 I used the interesting ceramic spiral focal that Nancy sent and added dangles using the copper open weave beads, turquoise chips and black faceted beads. 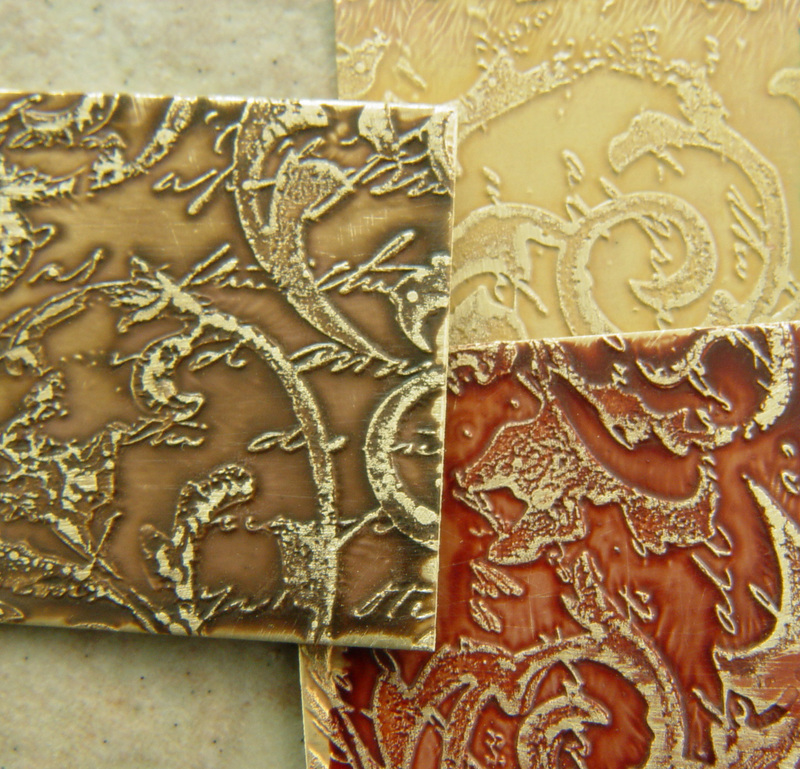 On top of that I used some 1.25″ etched, colorized disks that I made (from Metal Me This) and thought they coordinated well. 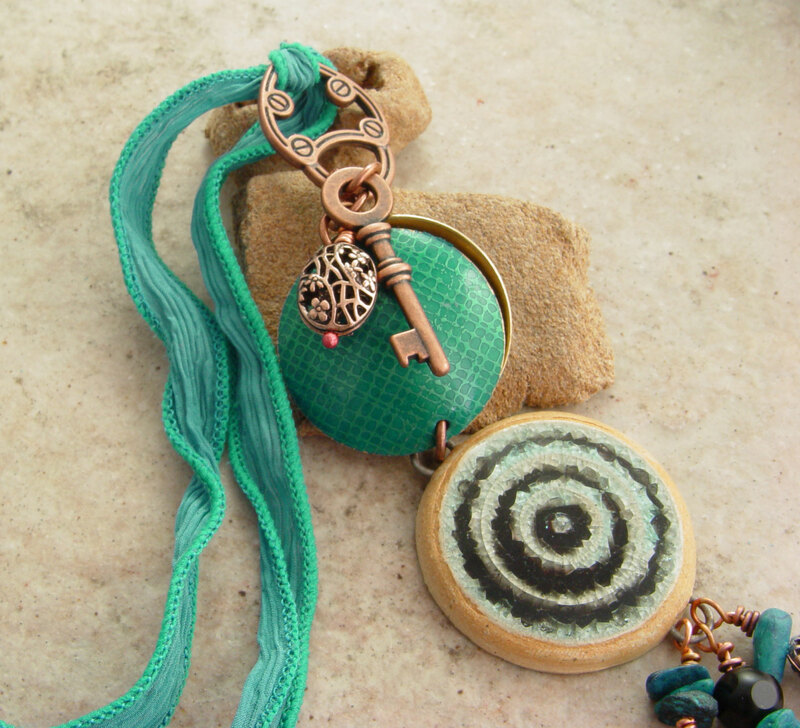 Instead of hiding the cool key clasp that Nancy sent in the back, I used it as an extension to the focal pendant and wrapped the silk ribbon through it. I like the effect of a chunky pendant. Here are some close ups of the pendant portion. There are about 150 blogs to visit this round, so get some coffee, or a glass of wine and head over to Lori’s site where the links are all set up for you. Click away. I can’t wait to see all the Bead Soup goodness out there. And remember to come back two more times for the other reveals in this massive 400 person Bead Soup Blog Party. Lori will have all the details on her blog.